If you consider yourself a gamer, then you must understand the importance of your gaming environment, more specifically, comfort. The hours you spend playing could have negative long term effects. Our bodies could succumb to numerous ailments after prolonged sitting. 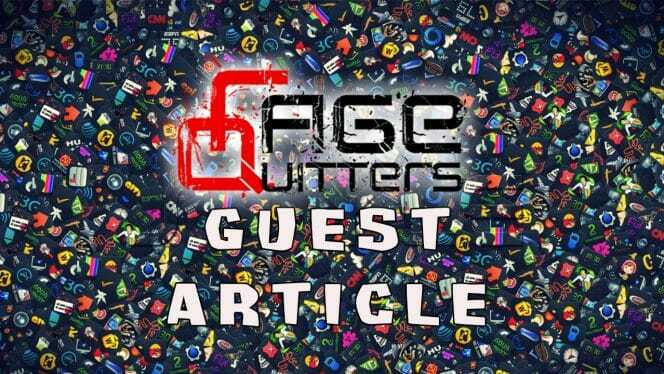 The obvious solution would be cutting down the amount of time you sit in front of your screen or by making investments in specialised equipment. The first thing you should consider as a gamer is your chair. If you are gaming, sitting in a basic or standard office chair, you already lose. Why? Ask this question to your aching back and neck. You can also ask your bones several years later. So, a gaming chair is your first and the most important investment. But there are quite a number of different chairs on the market; how to choose the perfect one? Let’s make it clear in the following article. So, let take a closer look at each element of this list. There are at least three different kinds of gaming chairs among which you have to choose. The right type depends on the gaming device you prefer. Are you a PC or console gamer? It’s a traditional chair that is almost similar to the wheeled office stool. But the PC gaming chair has several essential features. At first, it’s accommodated to the excessive hours of gaming. It has adjustable armrests, comfortable headrest and quite an ergonomic lumbar pad. As traditional office stools, these gaming chairs have wheels, so, you can move them wherever you want. These are two types of gaming chairs that we can combine in one group. The only difference between them is the presence of the pedestal under the stool seat. Other features are very common. Both types are of “L” letter shape and have quite a number of excellent built-in functions, such as foam pad, stereo speakers, etc. These chairs are perfect for console playing; thee connect to the console platform via Bluetooth or other wireless protocol and increase your gaming experience. If you are a racer at heart, then try to take into consideration this type of chair. 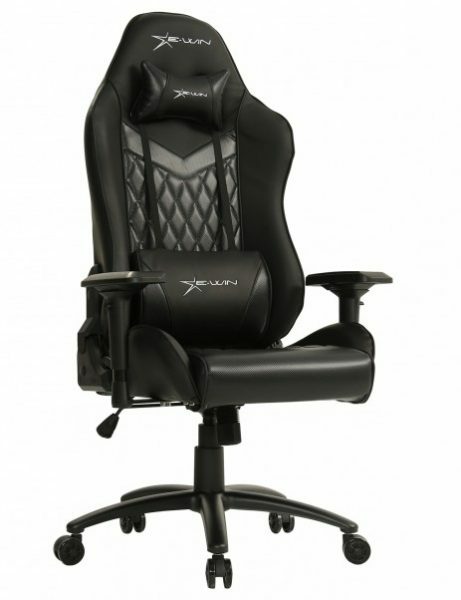 Racing gaming chairs are the whole system for those who prefer racing games. Most of these chairs have a steering wheel, pedals, and even the transmission controllers. Some models have also built-in speakers and wireless connection to the different gaming platforms. The material of the gaming chair is one of the most important things you should take into consideration because the material is a lifetime of your chair. The higher the quality is, the longer your stool will live. When you choose a gaming chair, take into consideration not only the seat material but also the material of the wheels, armrests, and legs. The seat can be made of fabric and PU-leather. The fabric seat is cheaper but also hard to maintain.Leather is very expensive, but if you are short of money, you must know that the best budget gaming chairs are made of fabric. It can be plastic, aluminum, steel, and even carbon. The steel is the most durable and efficient material for the chair legs. If you are looking for a PC gaming chair than it must have wheels. Wheels should be made of durable material. It can be plastic but of the strong kind. Also, remember that the higher the material quality, the higher the price will be. So, if you are short of money try to find a compromise. Pay more attention to the seat and wheels materials. Space-saving features and chair dimensions are essential when you have a small gaming area. So, make sure that your gaming chair can fold up when you don’t need it. Thus, the thing is quite clear. If you are short of space, don’t buy a chair which is too large for your area; and make sure that you can fold it up when it is not needed. Gaming is a process when you don’t observe the time. So, you can spend hours gaming while your body is in the stress of the uncomfortable chair. As a result, after gaming, you have the headaches, muscle aches, and other pains. So, before you purchase the gaming chair, make sure that it is comfortable for you. The stools with good ergonomics always have a lumbar pad, headrest, and adjustable armrests. If they don’t, then they are not gaming chairs. The price of the gaming chair depends on the materials it is made of, as well as on the brand name and some other features. Gaming chairs form the popular brands are a little pricier than the lesser known ones. But purchasing the brand, you are buying the quality. Don’t run for the cheaper products. If the chair is cheap and the brand is unknown don’t buy it, for you will pay twice. As a gamer, every nuance becomes important. Good organisation of your gaming area is not only beneficial to your future health but also your gaming experience and happiness.